An association's communications director uses survey results to align member interests with website content. 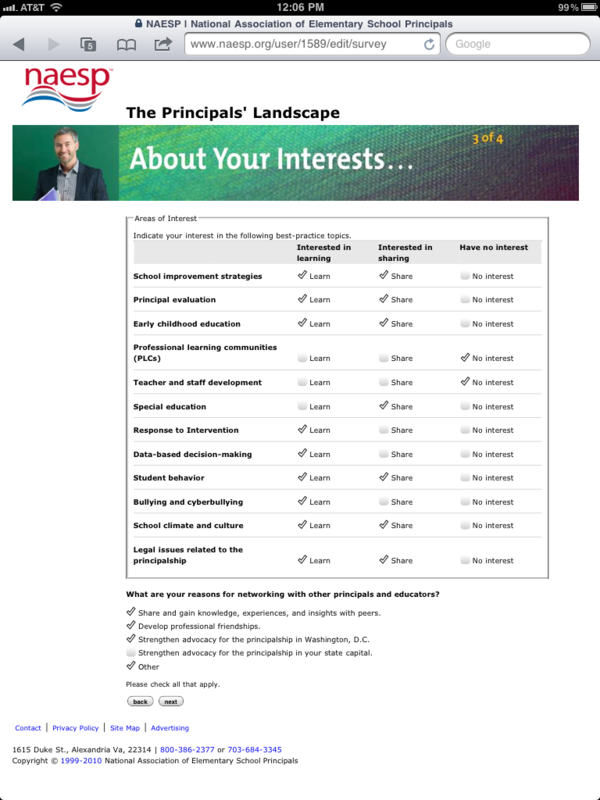 NAESPs member survey aligns website content with members interests. Keeping track of a worldwide association membership can be quite a challenge. Like many associations its size, NAESP uses an association management database to connect with its 30,000 members and affiliates. While the software works well for staff, its never been self-service for members. Worse, website activity and email statistics – NAESPs main points of contact with members – have been out of reach of the AMS database. Until now. The association brought el-studio in to connect AMS functions to the associations web site, allowing members to keep their information up- to-date. We also built functionality that allows state affiliates to access current membership information. 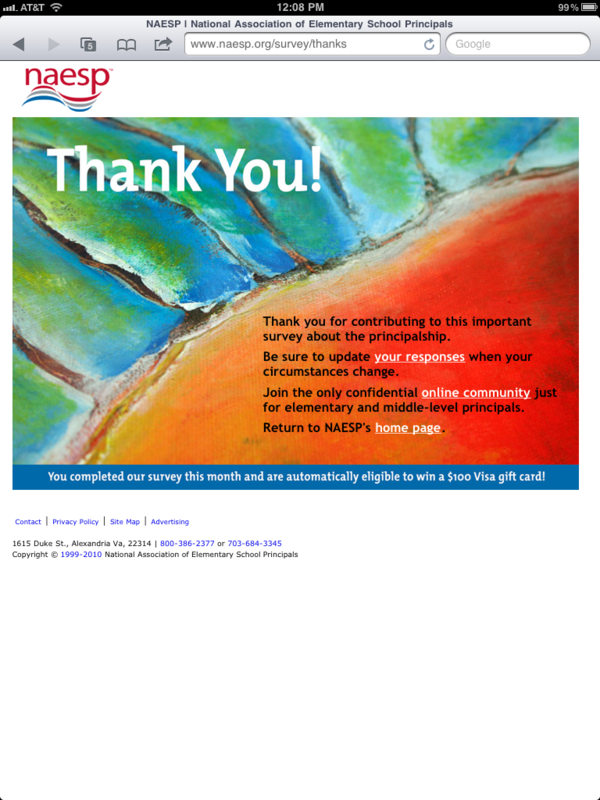 On the content side, the new web-to-AMS capabilities have inspired NAESP to conduct their first membership survey online. Results are saved to the AMS, where they can be used to target both email and website content to interested members.